Holiday park Terherne lies directly next to one of the Frisian lakes. From the balcony, all holiday homes offer a view of the lake and the scenic harbor. 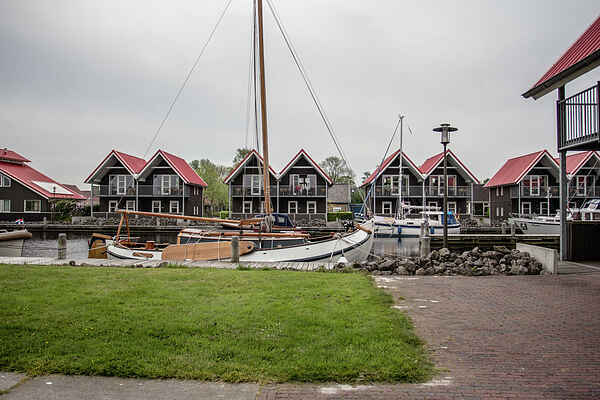 Havenwoning 4 is suitable for four people. The bathroom has floor heating and a walk-in shower. Havenwoning 4 has an atmospheric living room with dining corner. You can also relax in the sitting corner, which is equipped with a flat-screen television. Furthermore you can fish nearby the property. The property has several stairs, therefore these accommodation are not recommended for disabled people. All homes of this type have free Wi-Fi. There is parking space for 1 car next to the accommodation. The interior design of the homes may vary.